Discovery House Publishers. Paperback. GOOD. Spine creases, wear to binding and pages from reading. May contain limited notes, underlining or highlighting that does affect the text. Possible ex library copy, thatâll have the markings and stickers associated from the library. Accessories such as CD, codes, toys, may not be included. Discovery House Publishers, 2002. Paperback. Good. Disclaimer:A copy that has been read, but remains in clean condition. All pages are intact, and the cover is intact. The spine may show signs of wear. Pages can include limited notes and highlighting, and the copy can include previous owner inscriptions. At ThriftBooks, our motto is: Read More, Spend Less.Dust jacket quality is not guaranteed. Discovery House Publishers, 2002. Paperback. Very Good. Disclaimer:A copy that has been read, but remains in excellent condition. Pages are intact and are not marred by notes or highlighting, but may contain a neat previous owner name. The spine remains undamaged. Discovery House Publishers, 2002. Paperback. As New. Disclaimer:An apparently unread copy in perfect condition. Dust cover is intact; pages are clean and are not marred by notes or folds of any kind. Discovery House Publishers. PAPERBACK. 1572930829 Good Condition. A few pages have crinkling. Five star seller - Buy with confidence! . Good. Discovery House Publishers. PAPERBACK. 1572930829 Very Good Condition. Five star seller - Buy with confidence! . Very Good. Discovery House Publishers, 2002-07-01. Paperback. VeryGood. Discovery House Publishers. Paperback. 1572930829 . Very Good. 2002-07-01. Grand Rapids: Discovery House. Very Good+ with no dust jacket. 2001. Wraps. 1-57293-082-9 . Discovery House Publishers. Used - Good. Good condition. Slightly dampstained. Discovery House Publishers. Used - Like New. Like New condition. Discovery House Publishers, 2002-07-01. Paperback. Good. Rbc Ministeries. AN/NONE. 2001. no edition/printing given. Softcover. 1572930829 . H3431. In AS NEW condition. Clean inside and out. Stapled s[ine. 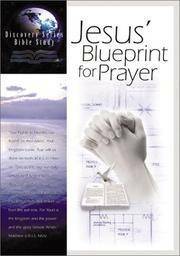 Comes with a 4x6 booklet of 32 pages with same title and also breaking down and explaining The Lord's Prayer. Also in AS NEW condition. ; Discovery Series Bible Study; 53/4x81/4; 38+ads pages . Discovery House Publishers, 2002-07-01. Paperback. Used:Good. Discovery House Publishers. Used - Good. Ships from the UK. Former Library book. Shows some signs of wear, and may have some markings on the inside. 100% Money Back Guarantee. Your purchase also supports literacy charities. Discovery House Publishers, 2002-07-01. Paperback. Very Good. Nice looking book, has minor edge wear.